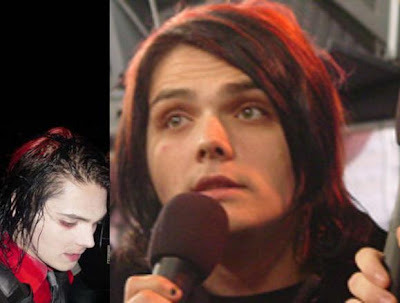 After three confusion-stirring days of its morphing unexpectedly into a page displaying a television with various changeable channels, the My Chemical Romance website has returned to its old self with some minor changes. A desert-scene backs a blog post, "To Kill a Demon Shark," from guitarist Frank Iero that announces the final limited-edition print of his ongoing series and the birth of his twin daughters, gives a better look at the MCR-designed Guitar Hero strap and warns us, as we have grown accustomed to being warned lately, to "look alive." The print, titled "Satan Save The West Coast Cause God Wants Us Dead," displays a desert scene, possibly a more distant shot of the background image location, overlayed by the text "California 2019" and a white spider-- the one widely recognized as the logo for The True Lives of The Fabulous Killjoys, the comic series vocalist Gerard Way announced he was working on in July 2009 and said would not come out this year as he had previously planned. The spider was also recently spotted on Way's painting, "Yellow," which was featured at Alternative Press' July art exhibit in Los Angeles. As Frank's post reveals, it is also on the guitar strap the band designed for Guitar Hero: Warriors of Rock. All the desert imagery aligns with the post-apocalyptic rants and raves of the My Chemical Romance Mystery Twitter Characters, who have been painting themselves into what appears to be a sand-filled dangerzone. 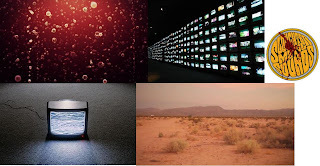 For those who enjoyed the mystery screen that occupied MyChemicalRomance[Dot]Com recently, you can still find the interactive television under a tab called "Transmissions." PS: Completely by coincidence, as I was playing along with the characters, I posted this about a spider when I woke up. Strange. Also, if you're interested in speculating with me, I've posted a "conspiracy theory" post about the spider. The desert is a hot arid place where heroes go to hunt, and enemies go to die. I saw "Lacrals" at first too, but I believe it's actually "Jackals." "Philly" it may very well be, but one of the "L"s is so distorted that it looks like a "B" or a "D."
Kind of interesting if it is "Philly;" as, the radio station that posted about the new songs is in Philadelphia. 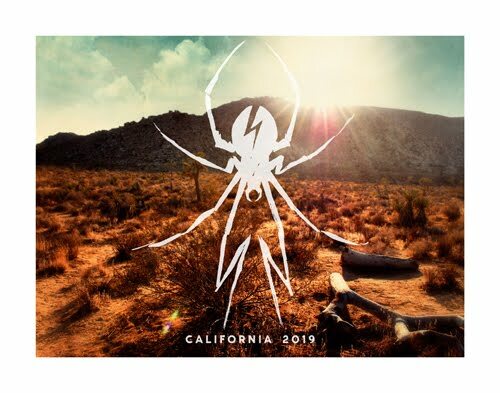 im gonna guess the Spider is the key to everything on this album, ya know like the logo. um can you tell me where on the blank screen the number 8 is (like top left corner, ect) i can't find it but there's a spotch in the top right corner, is that it? but anyways if it is im gonna try it out :D thanks!